As AIDS has become entrenched in the United States and elsewhere, a new generation has grown up with little if any knowledge of those dark early days. But they are worth recalling, as a cautionary tale about the effects of the bafflement and fear that can surround an unknown disease and as a reminder of the sweeping changes in medical practice that the epidemic has brought about. Altman’s reflections make it clear that from the very beginning, AIDS has been an epidemic marked by fear, misinformation, stigma and discrimination. But he also describes the critical development of diagnostic tools and treatment options, giving due credit to the “cadre of activists who demanded” that the Food and Drug Administration approve drugs faster. He goes on to describe the life-saving lessons we have learned for public health education and medical practice. A major piece of the story that Altman does not directly address in his article is the role of our national political leaders in responding to the AIDS crisis. 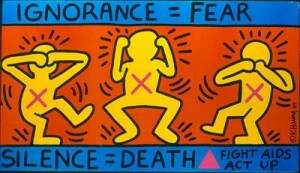 It took the Reagan administration nearly six years after those first cases emerged before publicly acknowledging AIDS. On May 31, 1987, after much pressure from HIV/AIDS activists, President Reagan finally spoke out about the epidemic at the 3rd International AIDS Conference in Washington, DC. By that time, his silence had proven deadly—36,058 people in the U.S. had been diagnosed with AIDS and 20,849 had died. Globally, HIV/AIDS had spread to 113 countries. Since those early years, more politicians have started paying attention. We have seen much progress in how we understand, prevent and treat HIV/AIDS. However, we know that stigma and discrimination continue to impair our ability to stop AIDS both here in the U.S. and abroad. Even though our political leaders have since invested in programs like the National HIV/AIDS Strategy, the President’s Emergency Plan for AIDS Relief (PEPFAR) and the Global Fund to Fight HIV/AIDS, Tuberculosis, and Malaria, the political will to fund these programs is waning.